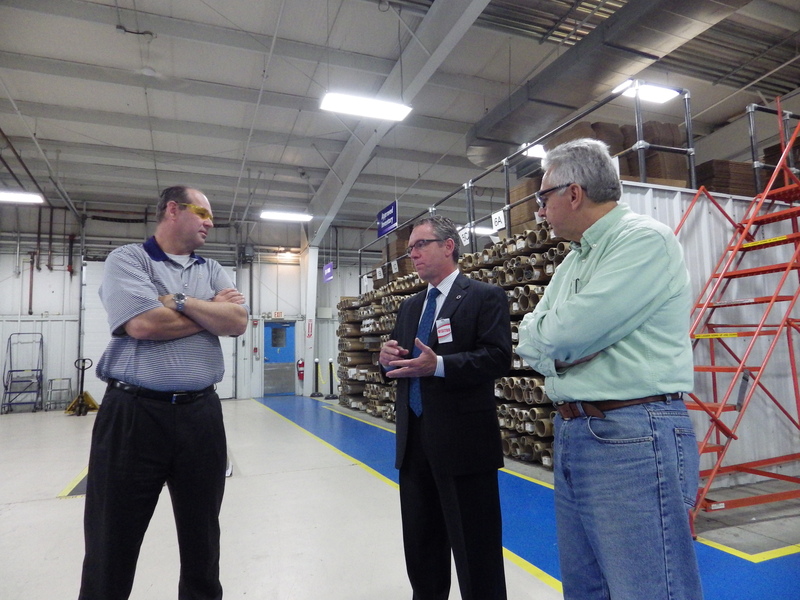 We kicked off the Labor Day weekend with a visit at MicroGroup in Medway. MicroGroup is a major supplier of small-diameter tubing and solid stock, as well as a world-leading manufacturer of miniature metal components. For over 40 years MicroGroup has focused on using speed and precision to rapidly deliver the highest quality industrial and medical device components and assemblies to its customers. We are delighted to have them in the 10th Norfolk District. You can learn more at http://www.microgroup.com/. We posted an album with photographs from our tour on Facebook which you can view by clicking here. The photos give a brief glimpse of the company, its operations, and its products. The employees at the company had a passion for their work. During the tour, it was noted that the employees are inspired by the fact that their work is saving lives, and that the medical devices they are making could be in their mother, father, sister or brother. As we appreciate one company and the manufacturing industry in general, we recognize that Labor Day is a celebration of the American labor movement and is dedicated to the social and economic achievements of workers. It constitutes a national tribute to the contributions workers have made to the strength, prosperity, and well-being of their country. Labor Day became an officially sanctioned federal holiday in the aftermath of some of the most turbulent labor unrest in the history of the United States that had crippled the country’s railways. The bill creating the Labor Day holiday was rushed unanimously through Congress near the end of summer in 1894 following the deaths of a number of workers during the Pullman Strike.